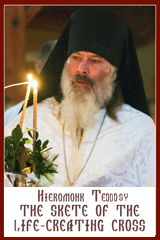 by the Patriarch Germanus the New. and shepherds of the fold. who were dispersed in the shadow of the Law and devoted to it. have made it even more honourable by decreeing the bounds of faith. the Trinity who is the cause of the creation of the world. you called the first three Councils and then the next four. of the four elements and of the world. but he kneeled and bent seven times. and humiliated Arius and his co-workers. who could not bear to see the nakedness of their father. and all those who followed his doctrines. because they became devouring wolves hidden in the skins of lambs. Since you exposed these wretched ones, we truly honour you. refuting Arius and struggling for the true faith. from the whole inhabited world. refuted the impious belief which the wretched Arius had invented. They banished him from the universal Church by a decree of the Council. decreeing the same with precision and true worship in the Canon of Faith. the consubstantial Trinity in one Godhead. O Christ our God, You are above all praise* for You established our Fathers as lights to all the earth. * You led us to the true faith through them. * O Most Bountiful Lord, glory be to You! O gracious Lord, for the sake of mankind You were born of a virgin;* through Your death on the cross You conquered death;* and through Your resurrection You revealed yourself as God. * O merciful Lord, do not disdain those whom You have created with Your own hands,* but show forth Your love for mankind. * Accept the intercession which the Mother, who bore You, makes in our behalf. ** O Saviour, save Your despairing people! Troparion, Tone 8: Christ our God, You are glorified above all,* You established our fathers as beacons on the earth* and through them guided all of us to the true faith. * Glory to You, most compassionate Lord. Kontakion, Tone 6: The Son who ineffably shone from the Father* was born two-fold of nature from a woman. * Beholding Him, we do not reject the image of His form;* but depicting it, we revere it faithfully. 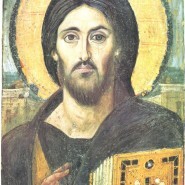 * Therefore the Church, holding the true faith,* kisses the icon of Christ’s becoming man. Now and forever and ever. Amen.